A traditional design with a fly opening that can replace normal underwear. Made in the UK from fine poly/cotton. A dignified, comfortable and cost effective way of managing light to moderate incontinence. The sizes quoted are waist measurements. Machine or hand wash. Buy our pack of 3 to ensure you always have one ready. 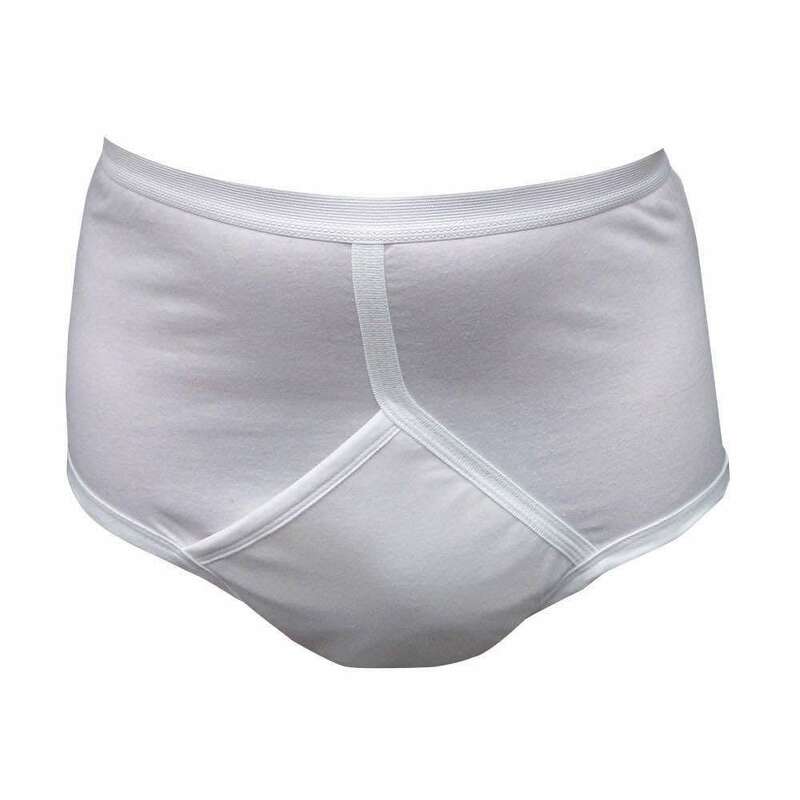 Arelle Washable Incontinence Pants for Men are made in the UK using fine poly/cotton with high quality elastic. They are made to a traditional design with a fly opening and can be worn as normal underwear. Wearing Washable Briefs is a dignified, comfortable and cost effective way of managing light to moderate incontinence. These male pants with pad will absorb 250ml. Our Washable Incontinence Pants are available in a wide range of sizes and all sizes are the same price. The sizes quoted are waist measurements. If the size you require is not listed please contact Arelle on 0800 389 3597 for further advice. By using washable products you have less waste to throw away. Better for you and the environment. Arelle Washable Incontinence Pants may be machine or hand washed and tumble dried. Their performance actually improves after a few washes. You can purchase these pants singly but for convenience we recommend that you buy our pack of 3 pants at a considerable cost saving, one in use, one in the wash and one ready to wear.